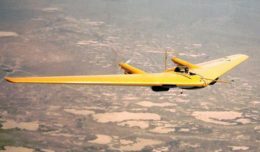 KUBINKA AIR BASE, Russia–The Russian military’s elite aerobatic squadrons have marked their 25-year jubilee with an air show outside Moscow. 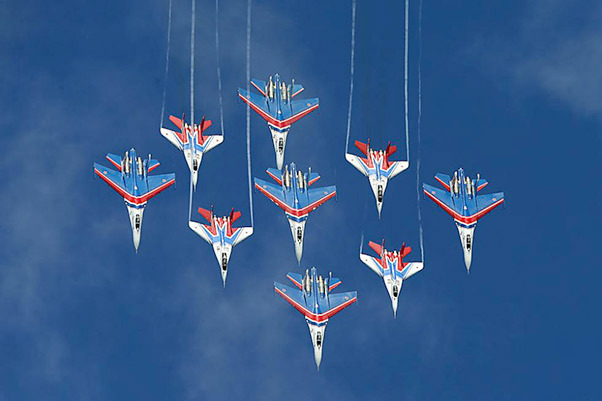 The Strizhi (the Swifts) aerobatic team flying MiG-29 jets and the Russkiye Vityazi (the Russian Knights) operating the heavier Su-27 fighters performed May 21 before enthusiastic crowds at their home base west of the Russian capital. The show included spectacular low passes and synchronous maneuvers showing off the jets’ high thrust and maneuverability. The show culminated in a joint stunt with both teams flying together in one tight formation.